Police Chief Richard Ross responded to President Donald Trump's recent call for law enforcement officials not to be "too nice" when arresting suspects. By Claire Sasko·	 7/31/2017, 10:04 a.m. 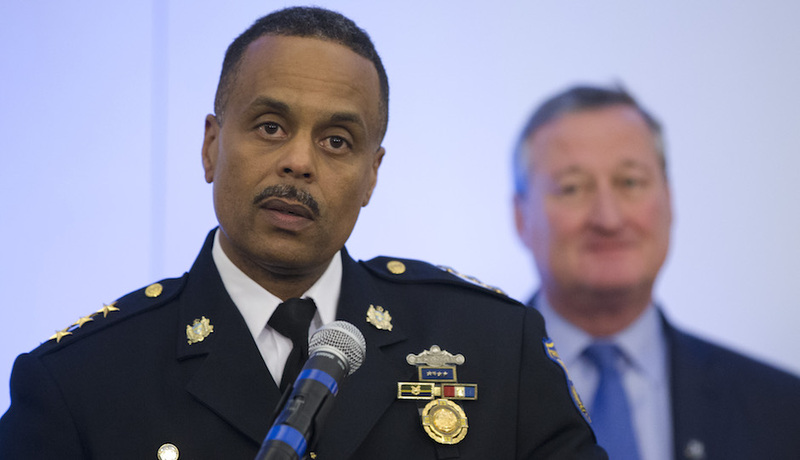 In a clear message to President Donald Trump, Philly Police Commissioner Richard Ross denounced the “mistreatment of prisoners” in a tweet shortly after Trump told law enforcement officials not to be “too nice” to suspects they transport. Trump’s comments, which were delivered during a speech in Long Island on Friday, have drawn criticism from officials across the country who say they’re concerned that the president’s words could be interpreted to advocate unnecessary use of force or police brutality. During the address on Friday, Trump called for immigration officers to help arrest members of La Mara Salvatrucha (also known as MS-13), a brutal gang suspected of several killings on Long Island. The president told law enforcement officials to “Please don’t be too nice,” when transporting or conducting arrests of suspected gang members. “Like when you guys put somebody in the car, and you’re protecting their head, you know, the way you put your hand over [their head] … You can take the hand away, OK? '” he added. The president’s comments drew laughs and cheers from the audience, but shortly afterward, many law enforcement officials criticized the president’s comments.